To celebrate Easter this year, here are some fun “Easter eggs“…. 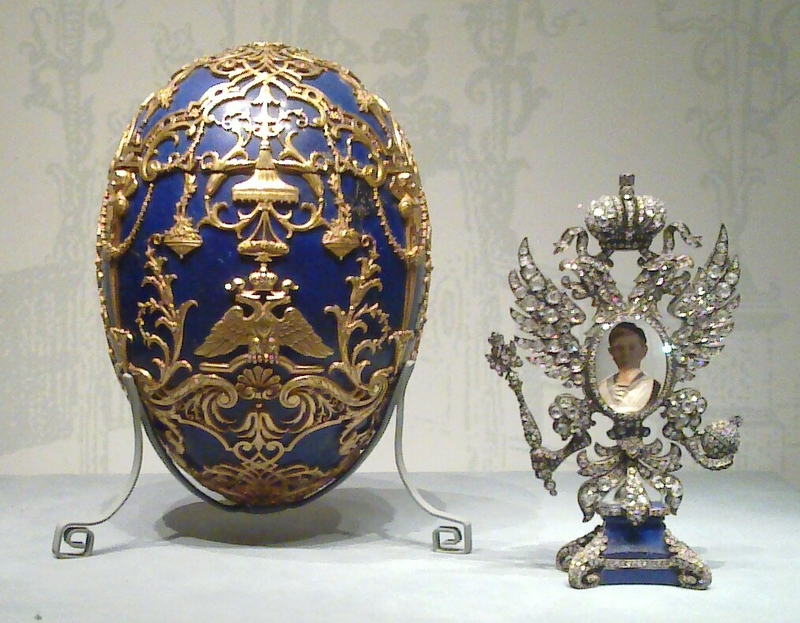 For decades the Czar of Russia commissioned the famous jewelry house of Fabergé to created ornate decorative eggs for the Easter holiday, many of which contained a surprise in the interior. Many were lost during the Bolshevik revolution but at least six of these works of art remain. Read the Smithsonian Magazine article to find out where extant Fabergé eggs reside, including one found last year and covered by The Good News Review. Another fantastic Easter egg tradition is pysanka or the Ukrainian art of dying Easter eggs using beeswax relief. Once the design is complete after a series of different colored dye washes, the wax is melted and the color preserved beneath shines through. The effect is stunning!